Think of nothing because everything is catered for. Where every moment becomes extraordinary. Hundred ways to start a perfect day. 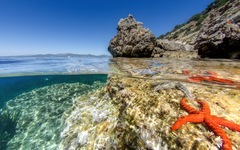 SPECIAL DEAL SPRING IN SARDINIA!!! 30% OFF ON OUR WEBSITE ONLY!!! Don't miss this special 7 days Flash sale with a 30% off! Our hottest deal of the year!!! Daily buffet breakfast served at our Summer Beach Restaurant overlooking the sea. Beach service with use of sun-beds, parasols and beach towels. Outdoor swimming pool with solarium terrace, outdoor Whirlpool Jacuzzi in the Garden, panoramic fitness terrace with Technogym equipments, SPA and relaxation area, Wi-Fi in all rooms and common areas, internet point. City tax: Euro 2,50 per person per night for a maximum of 7 nights. Payment at the check-out in Hotel. EARLY BOOKING SPECIAL OFFER BB - 15% OFF!!! Plan your holiday and save today with a 15% off! Prepaid and non refundable rate! Outdoor swimming pool with solarium terrace, 2 outdoor Whirlpool Jacuzzis in the Garden, panoramic fitness terrace with Technogym equipments, SPA and relaxation area, Wi-Fi in common areas and all rooms, internet point. City tax: Euro 2,50 per person per night for a maximum of 7 nights. Payment at the check-out in Hotel. "A resort where everything has been put in place to make every moment perfect. The Pelican Beach Resort and Kara Sardegna® together offer the most prestigious products of the eno-gastronomic and handicraft productions of Sardinia. Open your windows to see the spectacular view of Tavolara island or the green park.